Energy represents one-third of the weight in ranking the Best States for infrastructure. This subcategory evaluates three major metrics: renewable energy usage, reliability of power grids and the average cost of electricity. Metrics were evaluated using the most recent data from the Department of Energy. Most of the energy consumed in the U.S. comes from fossil fuels, including petroleum, coal and natural gas, while about 10 percent of energy consumption comes from renewable sources. In 2016, 29 percent of all energy usage was in transportation, while 6 percent came from the residential sector and just 4 percent from the commercial category, according to the U.S. Energy Information Administration. Oregon, which ranks No. 1 in energy, comes in third for infrastructure. Five of the top 10 states for energy also rank in the top 10 Best States overall: Iowa, Minnesota, Washington, Nebraska and North Dakota. And West Virginia, which is the worst state for energy, is also one of the poorest-performing states overall, coming in at No. 47. Montana, however, falls in the bottom half of states for infrastructure despite being top 10 states for energy. The Department of Energy measures the number of minutes of power outages each customer experiences on average every year. Excluding major events, customers in both Nebraska and Arizona experienced less than an hour of power outages in 2016. With 439 minutes – or more than seven hours – of hours of power outages in 2016, West Virginia was the No. 50 state in reliability of power grids, far exceeding No. 49 Maine's nearly four and a half hours, or 264 minutes. The Southeast had the greatest power disturbance by far, with an average of more than two hours per customer, while the average for the Great Plains region was only 86 minutes. Some of the nation’s oldest electrical contracting companies have discovered the secrets to staying in business and evolving to satisfy their customers’ changing needs. One-hundred years ago, less than 35% of U.S. homes were powered by electricity. During this golden age of opportunity, trail-blazing electricians founded their own electrical contracting companies in American cities nationwide. Oftentimes, these entrepreneurs opened their doors with little more than a dream, a storefront, and a passion for electrification. Some of these business ventures eventually disappeared from the industry, but others stood the test of time — and are still standing today. Succeeding in the electrical construction market for a century or more requires lots of determination — and a little bit of luck, says Fred Sargent, who retired from Sargent Electric after many years of leading the company. Some of the nation’s oldest electrical contracting companies have been able to stay in business for at least a century by adapting to changes in the industry and embracing new markets. Here are some of their strategies for not only surviving for 100 years, but also for planning for future growth and expansion. Adapt to customers’ changing needs. By keeping its customers at the forefront of its business plans, Sargent Electric can prepare its teams for the projects and technologies of the future. “Most of the emerging trends in our industry favor contractors that are providing full-service solutions for their customers, able to go wherever the customer needs them, and with the flexibility to work in a variety of team structures and contracting models,” says Rob Smith, president of the company. Train your workforce. Cache Valley Electric fosters a company culture that builds loyalty, camaraderie, and common purpose, treats each employee as irreplaceable, and invests in advanced training. “This training doesn’t just grow their value within our industry — it also builds their own sense of self-worth and accomplishment,” says Nate Wickizer, CEO of the company. Invest in technology. Hawkins Electric Service has strived to stay on the leading edge of technology through use of 3D modeling and GPR robotics on new construction projects. In addition, the field workforce uses iPads loaded with project management software and advanced equipment to troubleshoot underground faults. Serve your community. At Hawkins Electric, the company’s executives and employees have made a strong commitment to the community through monetary, material and labor donations. In addition, the company executives are active in leadership roles in industry associations and encourage their employees to do the same. Secure repeat contracts. As Hawkins looks to solidify its regional presence and expand geographically, the contractor is focusing on building trusting and nurturing relationships with its industry partners. Network with other contractors. For the last 35 years, H.B. Frazer has served as a member of the Federated Electrical Contractors, which includes 37 other contractors, including Guarantee Electrical, OESCO, and Cache Valley Electric. These companies work together on joint ventures for clients both in the United States and abroad. “Being a Federated contractor is a great opportunity to meet and grow our business and learn from one another,” says Bill Holleran, president of H.B. Frazer. Rob Smith, president of Sargent Electric, shares three ways his company and the electrical industry has changed since his business first opened its doors. More reliable and safer solutions at a lower cost. Improved electrical safety for the end-user and owner/ operator of the facilities and for the electricians who make it all happen. Innovations through all aspects of the supply chain, which reduces labor hours and costs. Also, the shift from building in the field to assembling advanced components and preassemblies boosts productivity. 1752: Ben Franklin ties a kite to a string during a thunderstorm. 1800: The first electric battery was founded by Alessandro Volta. 1821: Michael Faraday first discovered electro-magnetic rotation. 1826: Georg Ohm created Ohm’s Law. 1837: Thomas Davenport invented the first electric motor. 1878: Joseph Swan invented the first incandescent light bulb, which burned out quickly, and Thomas Edison founded the Edison Electric Light Co.
1879: Thomas Edison invented the first long-lasting incandescent light bulb, which could be used for at least 40 hours without burning out. 1882: Thomas Edison opened a power station, which could power 5,000 lights. 1883: Nikola Tesla invented the Tesla coil. 1893: The Westinghouse Electric Co. used AC current to light the Chicago’s World’s Fair. 1936: The Rural Electrification Act was aimed at providing electricity to farms in America. 1942: About half of the American farms had electricity. A technique called "electrical grounding" may moderate preterm infants' electromagnetic exposure in the neonatal intensive care unit (NICU) and improve their health outcomes, according to Penn State College of Medicine researchers. Previous research in adults has shown that exposure to electromagnetic fields can affect the vagus nerve, a key component of the autonomic nervous system which regulates the body's internal organs during rest. Previous research also has shown that electrical grounding, which reduces the electrical charge to the body, can improve the functioning of the autonomic nervous system and the vagus nerve, producing improved vagal tone. 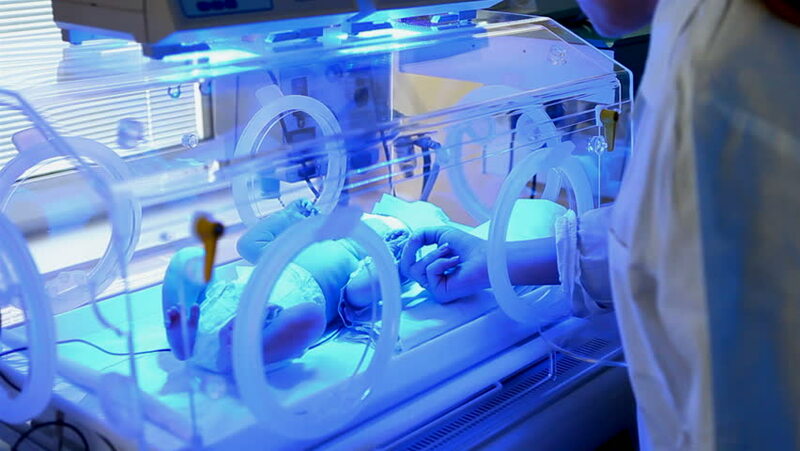 Additionally, a separate study involving preterm infants in the NICU revealed that when the incubator's power was switched off, thereby eliminating the electromagnetic source, the vagal tone of the infants improved. But until this Penn State study, published in a recent issue of Neonatology, no other research had directly evaluated the effect of electrical grounding on vagal tone in preterm infants in the NICU. "Preterm babies in the NICU have a lot of health challenges due to the immaturity of their lungs, of their bowel and of all their organs, so we decided to look at how electrical grounding could help improve vagal tone and mitigate some of those challenges," said Dr. Charles Palmer, professor of pediatrics and chief of newborn medicine at Penn State Children's Hospital. "Anything we might do to improve the babies' resilience would be good." After measuring the environmental electromagnetic levels in and around the incubators, the researchers electrically grounded the babies by connecting an electrode wire from the infants' incubators or open cribs to the ground. Twenty of the 26 infants were measured for both skin voltage -- the voltage measured between the patient's skin and electrical ground -- and heart rate variability -- to assess vagal tone -- before, during and after grounding. Six of the infants were measured only for skin voltage. "When we looked at the signal on the skin, it was an oscillating signal going out at 60 hertz, which is exactly the frequency of our electrical power. When we connected the baby to the ground, the skin voltage dropped by about 95 percent and vagal tone increased by 67 percent," Palmer said. After grounding, vagal tone returned to the pre-grounding level. "What we can conclude is that a baby's autonomic nervous system is able to sense the electrical environment and it seems as though a baby is more relaxed when grounded," Palmer said. "When tied to our previous work, which found that vagal tone was an important risk factor for necrotizing enterocolitis, this new finding may offer an opportunity to protect babies even further." "If more research confirms our results, it could mean, for example, redesigning incubators to ground babies and cancel out the electrical field," he said. As part of our ongoing focus on electrical safety, we annually update our report that assigns a grade to US States for electrical standards that are mandated state-wide. What's NOT included in our report. County and Municipality adoptions. We recognize that there are many local adoptions, and that in many cases county and municipalities adopt the most recent building and electrical codes ahead of their State. The scope of anything other than state-wide mandated requirements is beyond this report. Enforcement or effectiveness. We are unaware of a way to track or correlate enforcement as it relates to rates of incidents or accidents. The following states have an A+ rating: Arkansas, Colorado, Iowa, Maine, North Dakota, South Dakota, Wyoming. We applaud all those states, counties and local municipalities that continue to set high standards in electrical safety. The Chart below shows the rankings. If there is a green up arrow ↑next to the state name, it indicates an improvement in grade over the last 5 years from 2014 to 2018; a down red arrow↓ indicates a decline. For history and details of how grades are calculated, click here. Note: All 12 points are required for an A+ grade.